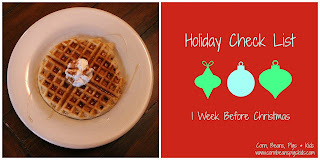 Christmas Week is here! We've already been celebrating by having our church's children's Christmas program last night and LP's PreK class had their school Christmas program today. 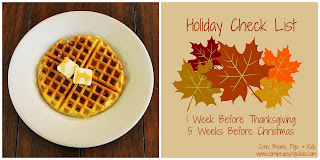 Throughout the holiday season I've enjoyed sharing my weekly holiday check lists with you, as well as some of my favorite holiday recipes. 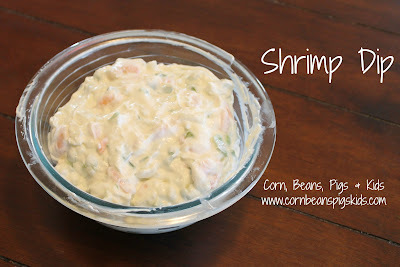 This week for my holiday recipe, I have to share my recipe for Shrimp Dip. This is my go to appetizer for every holiday gathering. I don't know if your family get-togethers are like ours, but we seem to eat a main meal and then graze the rest of the day. So, you've got to have some good dips and snacks to satisfy those grazing cravings. 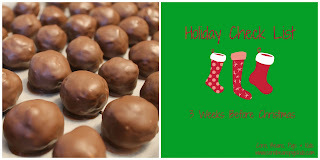 This five ingredient recipe is easy to whip together and refrigerates well. I love the creamy, tangy flavor with the delicious pieces of shrimp in every bite. Serve this dip with your favorite crackers (My Farmer prefers Town House and I prefer Wheat Thins!). 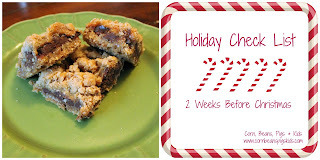 To get the full recipe and directions click here. I hope you enjoy it as much as our family does! 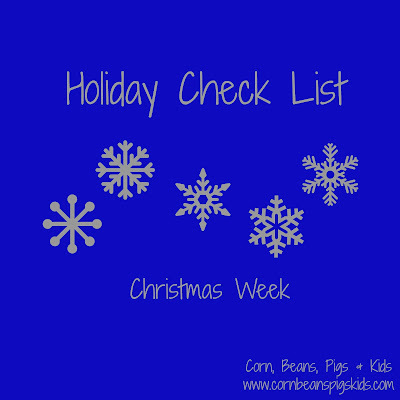 And while you're at, be sure to check out my Weekly Holiday Check List. You've got a few days to finish your gifts and clean your home - good to do if you're hosting or not. Also, don't forget to include family traditions into your week. Relax and enjoy. Christmas truly is a miraculous holiday! I hope you all have a blessed Christmas! 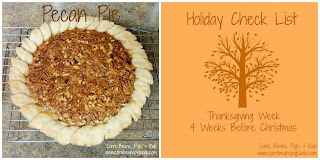 What was your favorite recipe I shared this holiday season? Remember to Comment for a Cause!